AudioArtist's review"Convolution "modeling" reverb at it's best"
Compatability issues are in any myriad ways something that you must figure out based on your own system, software version, etc. 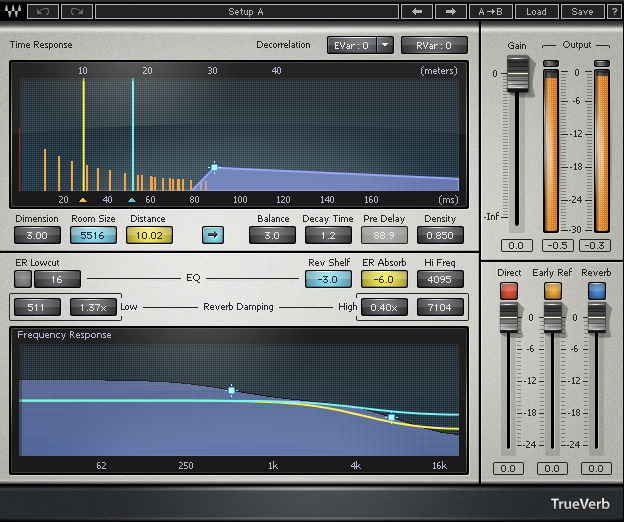 I use the IR-1 with pro-tools as an audiosuite or active plug-in, your choice. You can find many manuals and tutorials for any waves product either on the official waves website or elsewhere. 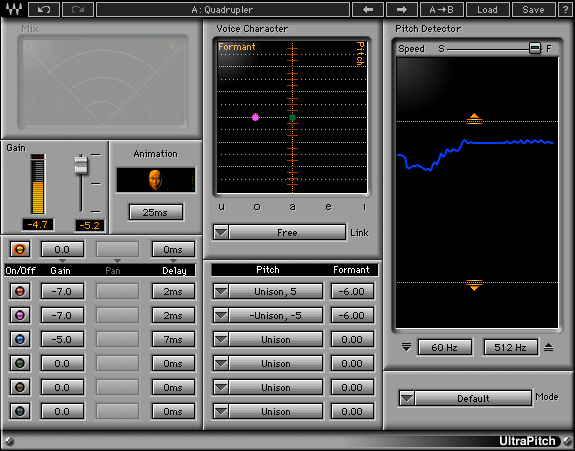 In general the IR-1 is NOT a simple, user friendly plug-in. You really should have a firm grasp of accoustics and "room-modeling" before you dive into this guy. I by no means suggest that you will be unable to coax some excellent sounds from this plug-in even if you are not knowledgeable about such theory/topics/implementation/matematics/etc., just suffice it to say you will become proficient with this plug-in much, much quicker if you know what you are doing. There, I've said it! Go to school and learn your math, learn your trade, and then put in years of unrecognized and unrewarded experience in before you sound off on a plug-in as sophisticated as this one. In other words, Pay your dues Leeches!! 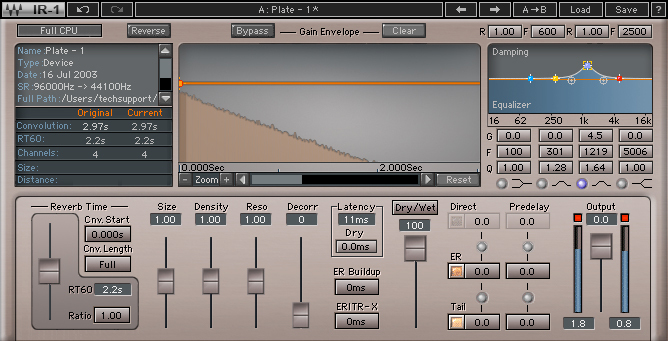 Depending on your system and your hardware, this plug-in can range from stable to a crash monster. It is completely and totally up to you to work these compatabilty and cpu load issues out for yourself. Do you really expect someone to hold your hand all the way through your training and subsequent "due-paying" experiences? Sorry, that's why the 'pros' get paid son. The Waves IR-1 convolution reverb is simply the best currently available and will most likely continue to be the best for quite some time. With the smallest possible supplied pre-sets, the engineer with the proper knowledge and education in accoustics and it's relative mathematical implications should find this plug-in to be one of the most powerful and inspiring reverb plug-ins ever. Period. In terms of value vs. price, the IR-1 is a difficult creature to classify. I personally would reccomend that you aquire the IR-1 with some Waves bundle, you will save tons of hard earned money with that choice, however if you do not currently own a solid convolution reverb and that is your only interest..., if you've got the money, the IR-1 is worth it. To rate the IR-1 in terms of precision and/or quality is an almost laughable notion. 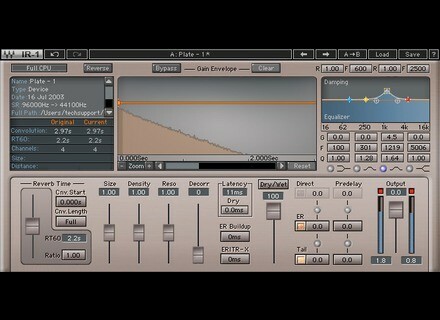 The Waves IR-1 simply is the best convolution reverb ever. The included room models are meticulously crafted. I urge you to research this for yourself. Discover how meticulously each of these environments was analyzed and what effort was put forth to not only capture these "images/impulses" but then to incorporate them into an interface that allows the end user to modify this "space" to accomodate their own functional use. Then add in the end-user option to create your own "impulse response" rooms, or to download other, either shared by peer users or created by Waves, "impulse responses" themselves! Well,... just think about the possibilties. For now, there is no other choice. Period. If you have the funds to purchase the IR-1 alone or in a bundle, (recommended). Do yourself a favor and buy it, there is absolutely zero chance that you will be disappointed even if you aren't quite sure how to properly utilize some of the higher functions. The IR-1 is like the mack daddy of reverbs. It has everything you can think of and then some. They have some crazy algorithms going on in this, and tons of different spaces were pre installed on this thing. As for the list of features, it has tons: a CPU mode, reverse knob, IR graph, reverb dampening, reverb EQ, reverb time section, reverb control parameters, latency, dry, ER buildup, ER/TRX crossover, crosstalk, dry/wet, dry gain, wet section, output gain fader and an output meter. This plugin is fairly hard to use because of everything that's going on. I can't stress finding tutorials on this enough. I've used it for months, and I'm still discovering new things about it simply because of everything you can do with the plugin. In fact, it's almost too versatile for its own good. Whenever I decide to make a reverb, I find myself messing with the options more than actually creating a fitting reverb at times. You can get that tweaking syndrome going on where it's never perfect enough. Waves has a well known reputation for having some of the best and most stable plugins ever to have graced the music software industry. This plugin is just like every other Waves plugin out there -- it's rock solid. The main issue I have with this plugin is that it's 32 bit. Logic and OS X are now fully 64 bit, and to utilize this plugin, a 32 bit bridge is needed. I'd like to see these plugins move towards 64 bit in the next update. It would alienate some of the older hardware users, but I have a feeling most people would upgrade their hardware to utilize these plugins. The other issue is that it can take up quite a bit of memory when in full CPU mode. I have a Mac Pro, so it's never a huge issue for me. However, others might run into trouble. Thankfully, they have a switch to allow you to select full or low CPU mode. This plugin is so complex that it can be a bit overwhelming. I usually just want to create a basic reverb, but I tend to get tweaking syndrome with this thing. There's so much going on that I can't stop messing with what I have. Definitely try it if you're a tweaking fan, but if you need something that sounds great with less clutter, check out the IR-L. 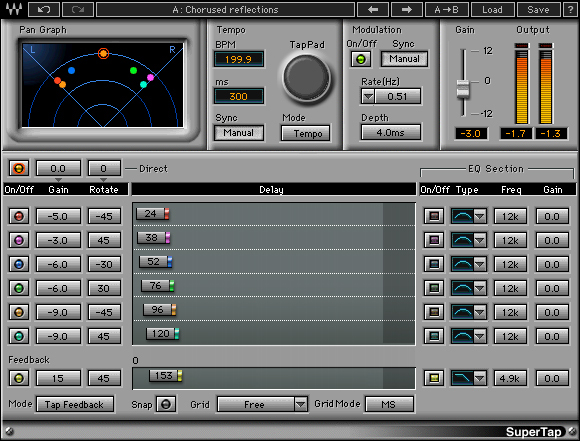 The Waves IR-1 is a convolution reverb plug-in for native systems. It’s a great addition to any DAW looking for a very realistic sounding reverb that can wear a lot of different hats. You can buy this plug-in on it’s own, but for whatever reason it’s just available for native (LE) systems. It comes in a few plug-in bundles as well, but not all of the major ones include it – I think just the Mercury bundle has it of the larger bundles. The interface of the plug-in has a lot going on, so it’s going to take a little bit of use to get completely comfortable using it. I will say that it does give you all of the desired controls and more here. Included is the ability to choose from a variety of different presets, as well as settings for the reverb time, size, density, resonance, decorr, mix, EQ, and a number of other helpful controls. Most users are going to be able to figure out how to use it without the help of the manual. The system that I’m running the Waves IR-1 is Pro Tools 9 on my home rig. I’m running it on a Mac Book Pro laptop that has a 2.2 Ghz Intel Core 2 Duo processor and 4 GB of RAM, while I run Pro Tools with a Digi 002R audio interface. I’m able to run this plug-in pretty smoothly, although I should say that I run it on an auxiliary channel always to save processing power anyway and would recommend doing the same. It’s hard to say how well it’s going to run on a less efficient system, but being it’s a native plug-in, I’d think most systems could handle it.